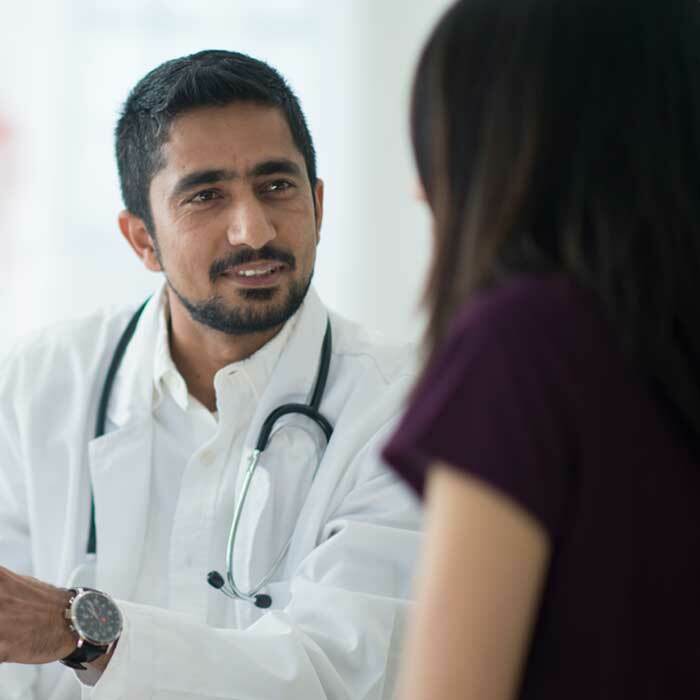 When a thyroid nodule is found to be cancerous, Virginia Mason offers comprehensive care to help ensure the cancer does not progress. Treatment is provided by a multi-disciplinary team that includes endocrinologists (physicians specializing in diseases related to hormones), surgeons, radiologists and if needed, oncologists (cancer specialists.) This team of caregivers is joined by other health care specialists such as nurses, dieticians and social workers if needed. Together, they develop a targeted and focused plan of treatment specifically tailored to the needs of the individual patient. Virginia Mason thyroid cancer patients receive all their care in one setting and a cancer care coordinator is with each patient through the entirety of his or her treatment. Because the thyroid gland plays a critical role in regulating blood pressure, body temperature, heart rate and metabolism, we provide a rapid response to patients with thyroid issues. Most are seen within one day of initial contact. 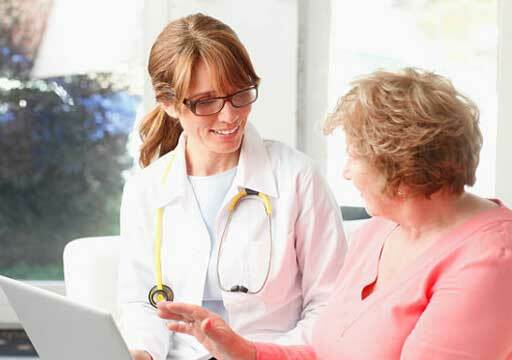 Once a diagnosis of cancer is made, our treatment plan takes into account the uniqueness of each patient and the demands of his or her daily life to ensure that care is provided in the most efficient way possible, with the least amount of stress incurred. Thyroid cancer is usually best treated by surgical removal of the cancer. Most often this includes removal of the entire thyroid gland. Whenever possible, the surgery is minimally invasive, allowing for shorter hospital stays and faster recovery times. Other treatments that are sometimes recommended after surgery, may include radio-active iodine, radiation or chemotherapy. 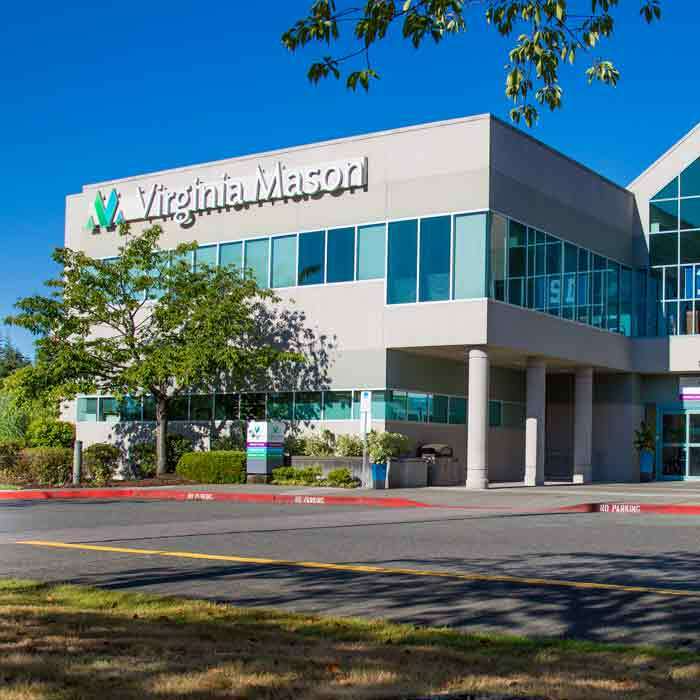 Virginia Mason is relentlessly devoted to providing exceptional health care — which is why we conduct clinical studies to improve the way we diagnose, treat and prevent disease. 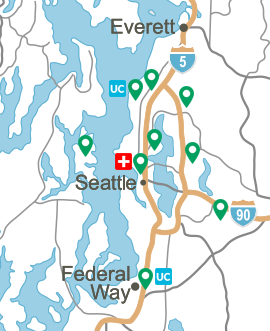 Benaroya Research Institute (BRI), oversees all clinical research at Virginia Mason, uniquely combining the expertise of a world-renowned medical research institute with the remarkable care of a health care quality leader. For more than 20 years, the goal of our clinical research program has been to provide each of our patients with a research option at every step of their disease, from initial diagnosis to long-term follow-up. Our trials include the use of chemotherapy, radiation and targeted therapies, as well quality of life/symptom management trials. Learn more about our current thyroid cancer clinical trials. Patient needs are continually assessed and addressed to minimize the effect of thyroid cancer on overall health and happiness. We enhance our patients' quality of life — in treatment and recovery — through an emphasis on cancer wellness and rehabilitation. Questions About Thyroid Cancer Care at Virginia Mason? To learn more about thyroid cancer care at Virginia Mason or to make an appointment, please call (206) 223-6620.